After spending the winter in Central and Western Mexico and Southern Florida, the western kingbirds (Tyrannus verticalis) have returned to Big Valley. These yellow and grey birds prefer open country with scattered trees or shrubs. Kingbirds are one of the latest spring returnees – only orioles and night hawks return later. Kingbirds are also one of the first songbirds to sing in the morning and the last to be heard at night. Funny how when photographed head on birds appear to be “angry”. 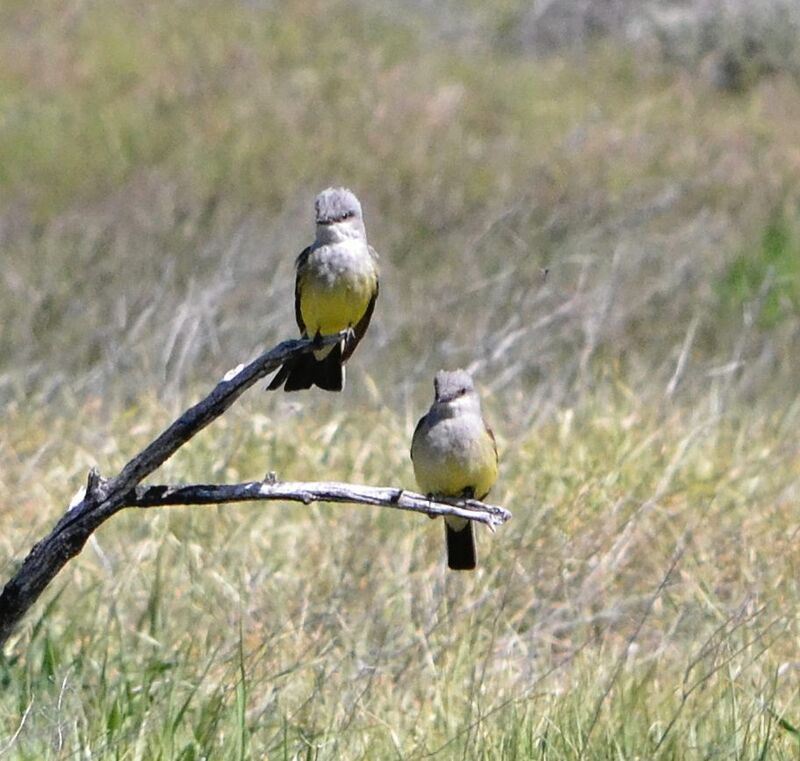 These kingbirds were photographed near Pilot Butte in Ash Creek Wildlife Area (Modoc County CA). This entry was posted in Birds and tagged nature photography, Tyrannus verticalis, Western kingbird. Bookmark the permalink.